Dublin, Ireland and San Jose, Calif – Jan 9, 2017 – Irish technology company, NVMdurance, with its unique approach of using machine learning to characterize flash memory devices, has announced that Kevin Kilbuck has been appointed as Chief Marketing Officer. Kevin spent almost 15 years in a number of memory and storage marketing roles in Micron, most recently as Director of NAND Flash Marketing, before joining NVMdurance. In Micron, Kevin developed segment, customer and product strategies that resulted in Micron securing the number one market share position in the NAND enterprise segment. Kevin was responsible for all marketing functions related to NAND components, managed NAND solutions and solid state drives (SSDs) including strategic, technical and product marketing as well as business development and applications engineering. 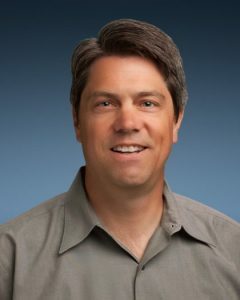 Prior to Micron, Kevin spent 12 years at Toshiba America in various marketing, engineering and sales positions, including director of the Memory Business Unit, covering all memory products, including NOR and NAND flash, DRAM and SRAM. Kevin started his semiconductor career in 1987, the same year NAND flash was invented, spending his first three years as a Memory Application Engineer in Mitsubishi America. NAND flash memory chips are used in many devices, including SSDs, laptops, tablets, mobile phones, GPS devices, USB drives and flash memory cards. Manufacturers and users of NAND are looking to transition to a new type of flash memory, called 3D NAND, which has cost and performance advantages over the incumbent 2D NAND flash. However, there are many challenges for getting to market with 3D NAND solutions. NVMdurance uses proprietary machine learning technology to provide tools for customers such as flash manufacturers which are trying to quickly begin high-volume manufacturing of new technologies. NVMdurance also supplies to the adopters of flash, including SSD and all-flash array solution providers. These tools provide a time-to-market advantage, and enable optimization around customer-specific usage conditions in order to differentiate flash solutions such as SSDs, laptops and mobile phones. Click here to download full sized photo of Kevin Kilbuck (300 dpi).